A douche, a nerd and a geek talk about stuff. After a long hiatus, we triumphantly return to bring you another thrilling episode of The Legal Aliens Podcast. The gang talk about Brexit, Alaska and Olympics amongst other things. 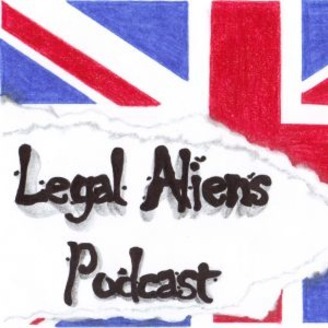 The Legal Aliens podcast is Written and Presented by Ben Kent, Richard Simons and Krista Ristinen, and is produced and edited by Ben Kent. Voiceovers provided by Darren Deans and Peter Baker. The Legal Aliens Theme Tune was written and performed by Neil Button Other music in this program is provided by - Mevio's Music Alley & FreeStockMusic.com. We'd love to hear from you: Call our voicemail line on 951-ALIENS-1 (951-254-3671 or (001) 951-254-3671 from the UK), email us: studio@legalalienspodcast.com, Follow us on twitter @legalaliens or join our Facebook page. 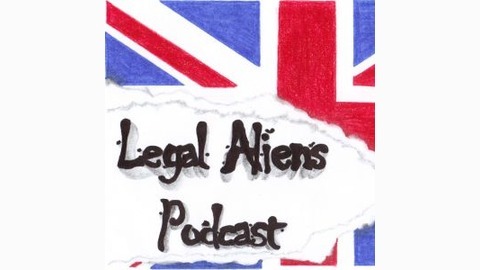 Also, why not check out the new Legal Aliens Podcast Merchandise Store for Legal Aliens memorabilia and gifts for all occasions.